Soft Spot Pillow Pet Bed Medium Size , Avi Depot=Much More Value For Your Money! Soft Spot Pillow Pet Bed Medium Size 27" x 36"
This Soft Spot reversible pet bed allows your pet to comfortably stretch out. Sure to be your pet's favorite resting place! Features yarn-dyed polyester and thermal fleece to help your pet stay cool in the summer months and warm and cozy in the winter months. 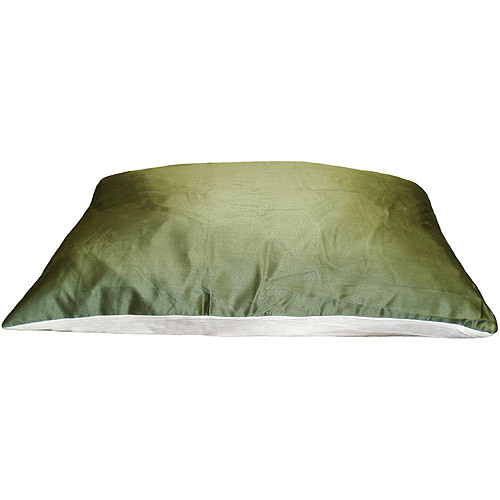 Filled with 100% recycled soft polyester fiber (high-loft fill made from recycled soda bottles). Size: Medium pet bed for dogs up to 60 lbs. FREE LOCAL PICKUP IN NEW BRUNSWICK NJ. You, our customers, are very important to us so please allow us to help you. If there is a problem please let us know so we can focus on correcting the problem and making your shopping experience at our store the best possible. Thank-you for shopping in my store. Have a good day!! !